Click below to hear the phrases. The Penobscot Indian Reservation lies just north of Bangor, Maine. It’s where Maria Girouard grew up and she is now the Director of Cultural Preservation for the Penobscot Nation, whose goal is to preserve and teach their ancestral language to members of the tribe. She has requested $15,000 to purchase equipment and furnishings to create a new language learning and resource room. 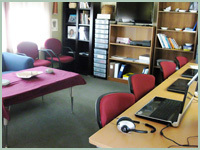 The room will provide tribal members with books, audio & video recordings, and language tutors. Maria will use the funds to buy lap top computers, bookcases, furniture, TV, a VCR/DVD player, and a fireproof cabinet to store valuable recordings. 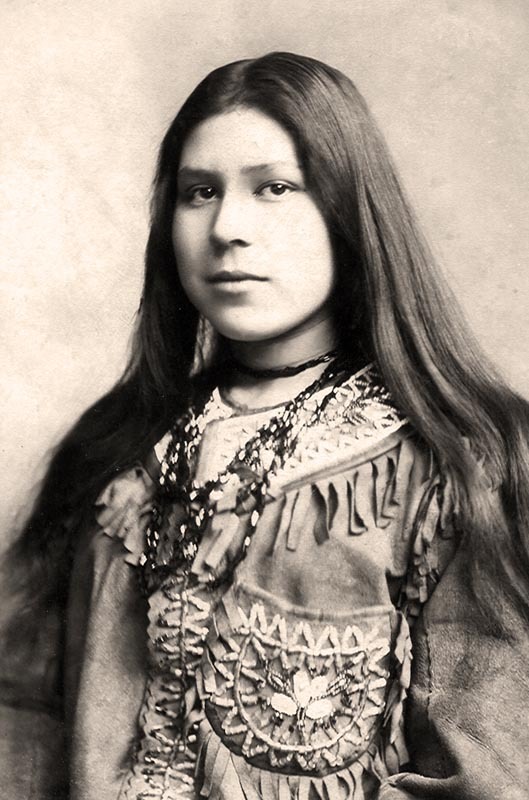 Maria grew up on the reservation with her grandparents and has sent us as beautiful photograph of her great-grandmother, Mary Elizabeth Ranco, in her native regalia. 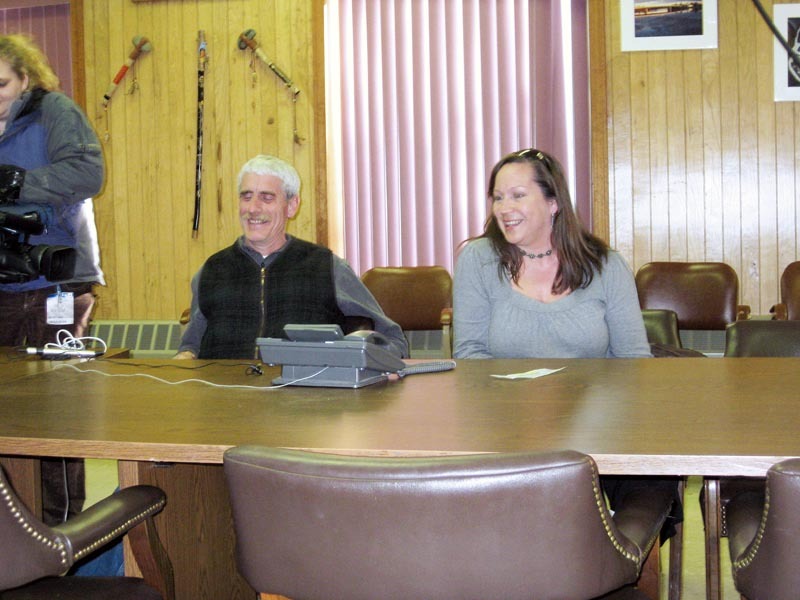 In her application, Maria cites the “dedication and hard work that has been carried out during the past 7 years to revitalize the Penobscot ancestral language, especially in creating resources.” She has been with the organization since 2002. Now that there are resources, there is no place to bring them together for community members to use. This room will benefit the entire tribal membership of about 2,000. Close to 400 tribal members live on the Penobscot Indian Reservation while the others live elsewhere, mostly in the state of Maine. 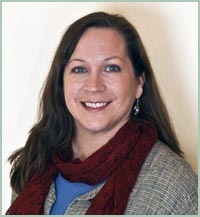 Although she is a tribal member (and her children, too), they live 5 miles away in Orono. Maria has two sons, 15 and 17. 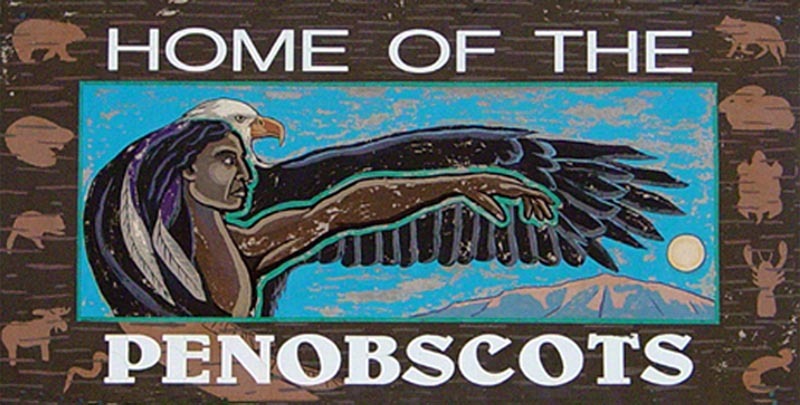 "Greetings from Penobscot Indian Nation in Maine where it's a balmy 14 degrees this afternoon! 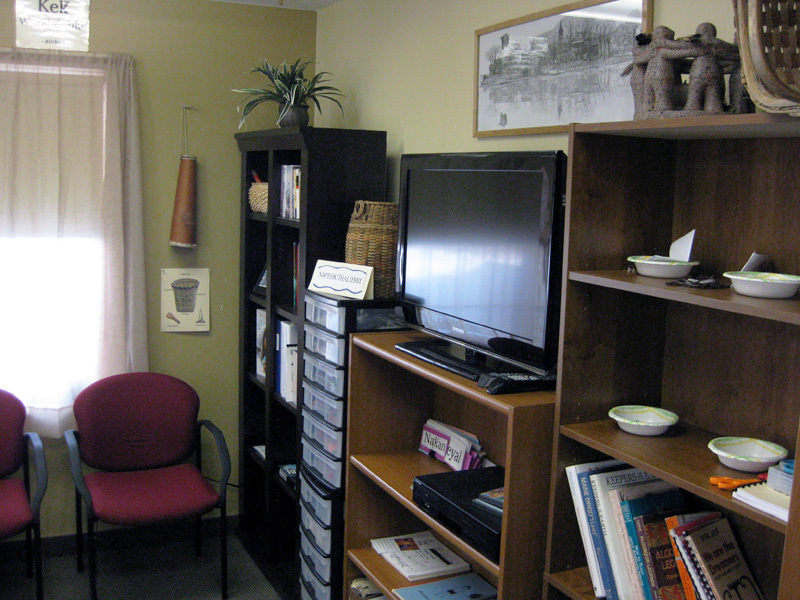 Attached please find photos of the Penobscot Language Lounge - at long last. I can't thank you enough for transforming our space! 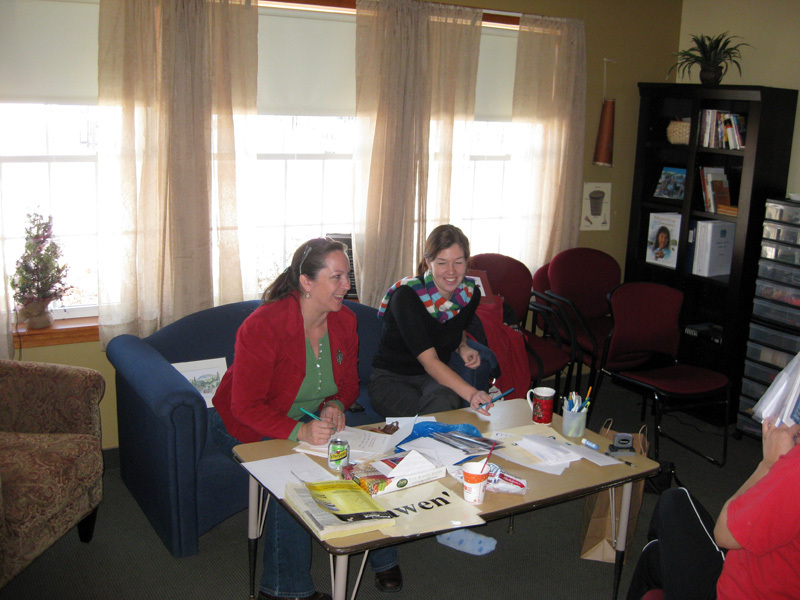 Thanks to Jenny's generosity, we now have a comfortable gathering place for all generations. Since outfitting our room with the new television, VCR/DVD, shelves, laptops, arm chairs, etc, the room has served many purposes. 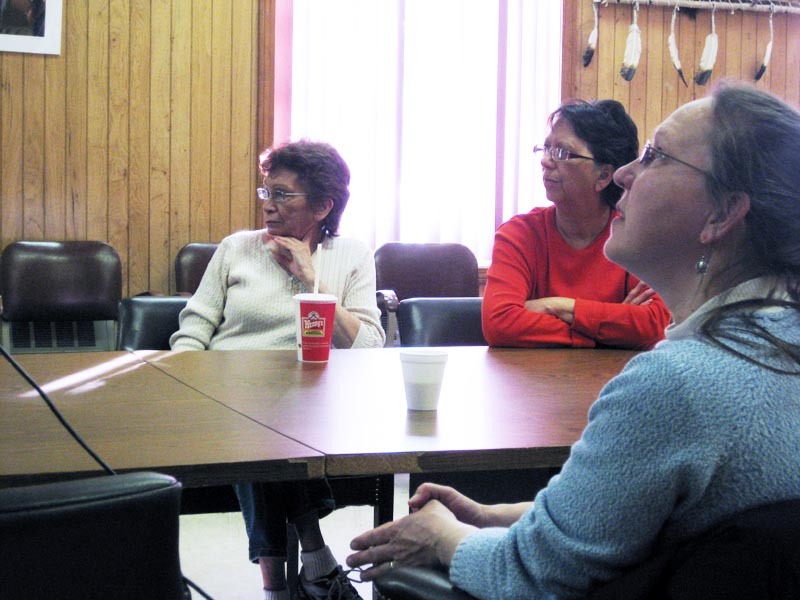 Mainly, it has been used every Tuesday and Thursdays for our hourly "Language Lunch Hour"; we have held special language workshops, and have been hosting a monthly "Movies and Munchies" where we view culturally relevant films. We started a new program - "Culture Teens". The teens find the lounge a cozy place in which to meet, relax, and be immersed in language. Our Elders just love the comfy armchairs! 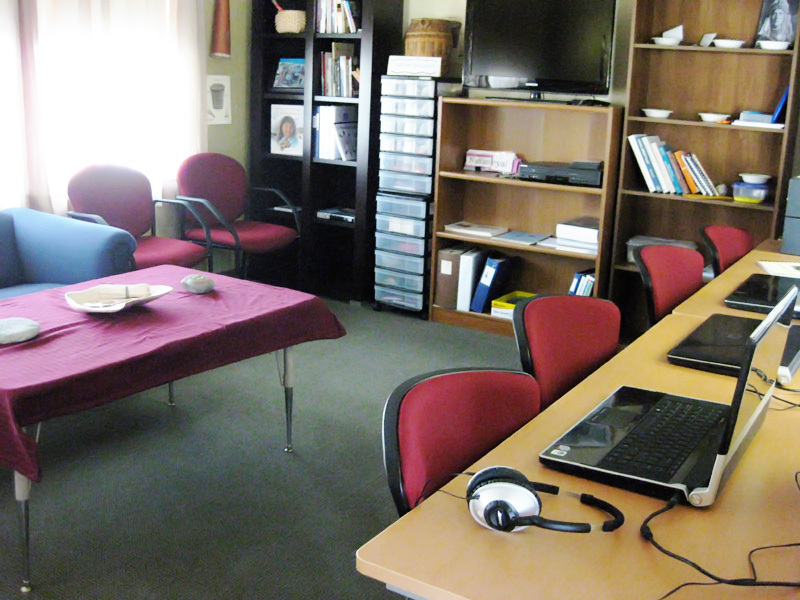 The Penobscot Language Lounge has transformed a barely used "conference room" into a dynamic and vibrant gathering place. It's always a thrill to hear of a ripple effect when one of our heroes makes the news. Maria tells me that because of the news coverage for their language revitalization efforts, she received two inquiries from folks wanting to help. Good news, Maria! Maria says she spent the weekend fantasizing about the new room. 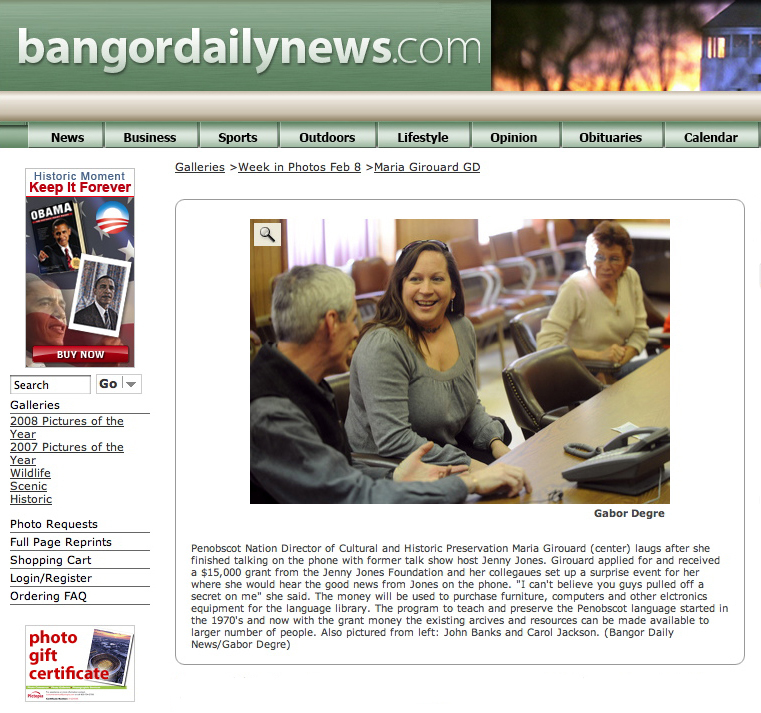 They covered her story on the local news Friday night and she'll be sending us more photos soon, and maybe even an audio clip of someone speaking Penobscot so we can hear how it sounds. 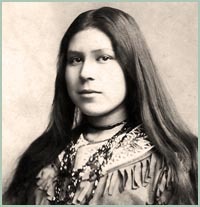 Marie plans to select her purchases with two of the language workers and says, "In my opinion, the true heroes are the language warriors who spend their days in the trenches, fighting to save our ancestral language. So a big thank you to Carol, Gabe, Maulian, and Roger!" I called Maria today with the news that she is receiving her grant of $15,000 for the new language center. Her colleague, John Banks, helped set up my surprise call by having the press and others gather in a conference room. Maria thought she was coming in for a conference planning call but then I called on the speaker phone with the news. Her mother and aunt were there as well as several coworkers and language staff. 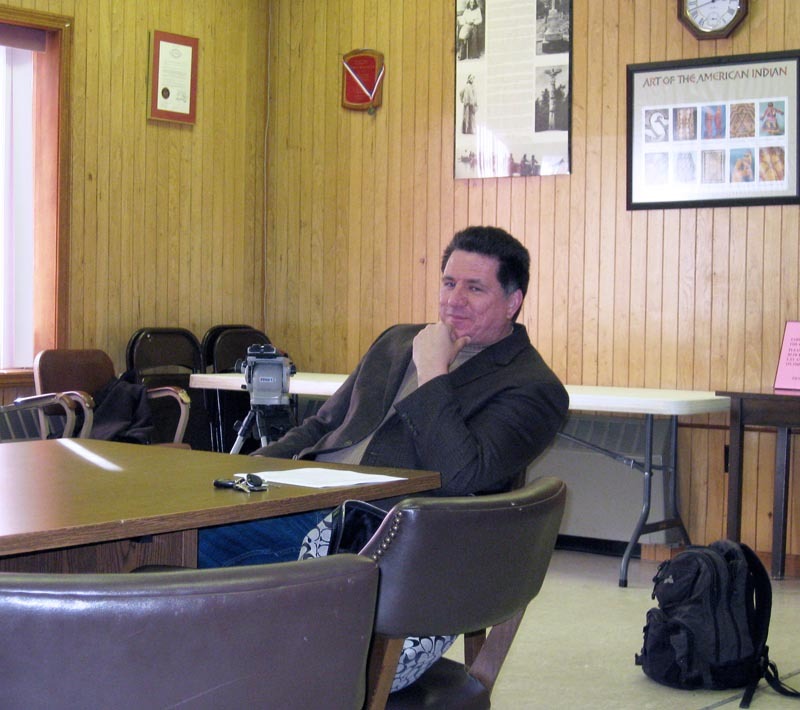 Tribal Chief Kirk Francis's flight was delayed but he was on the way when I called. Maria told me that only a handful of people still speak the Penobscot language and it's very complicated but she has some old tapes from the 1970s they plan to use. The room doesn't exist yet so her shopping list includes computers, mp3 players, a TV, a VCR/DVD player, bookcases, a conference table & chairs, armchairs, lamps, and a fireproof cabinet to store valuable audio and video recordings that have been collected over the years. 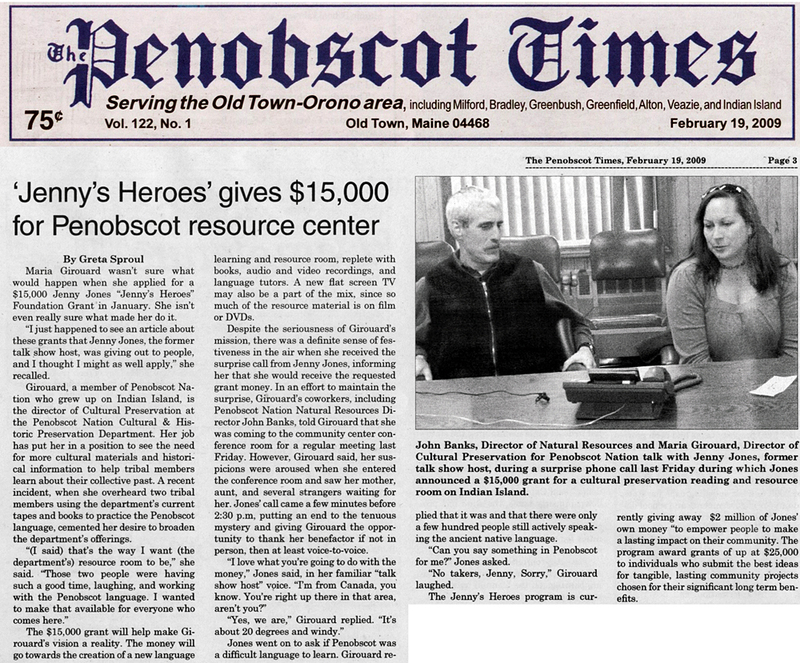 02/13/09: Jenny wrote... "Maria, this is your legacy and thanks to you the Penobscot story and language will be shared with tribal members and others for generations to come. Congratulations." 02/13/09: Damon wrote... "Congratulations, Maria! I admire all the important work you're doing, and look forward to helping you with the new Penobscot Language Learning and Resource Room." 02/13/09: James Francis wrote... "Maria, I am proud of your creativity and initiative to move forward with this project. 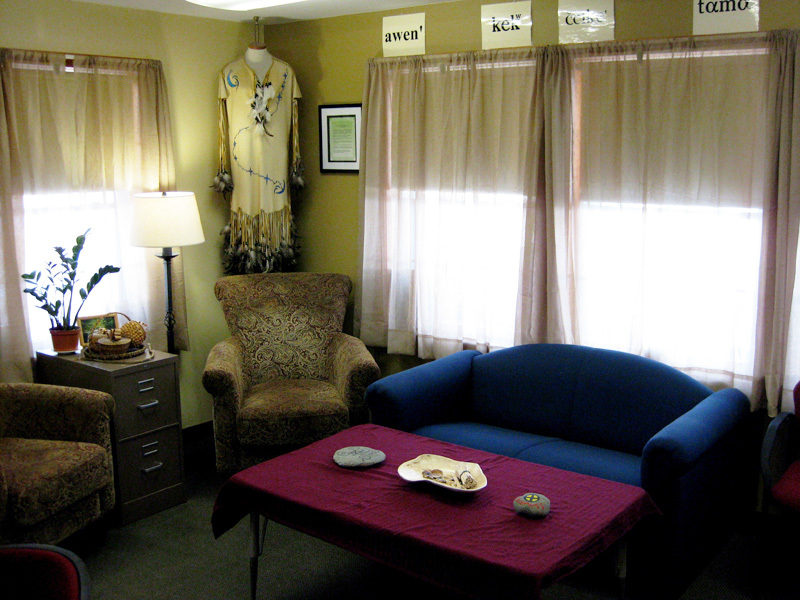 I am excited to see the language room come alive." 02/14/09: Terri wrote... "Hi Maria. I applaud your efforts to perpetuate your native language. Once it's gone, it's gone for everyone including future generations. Keep up the good work!" 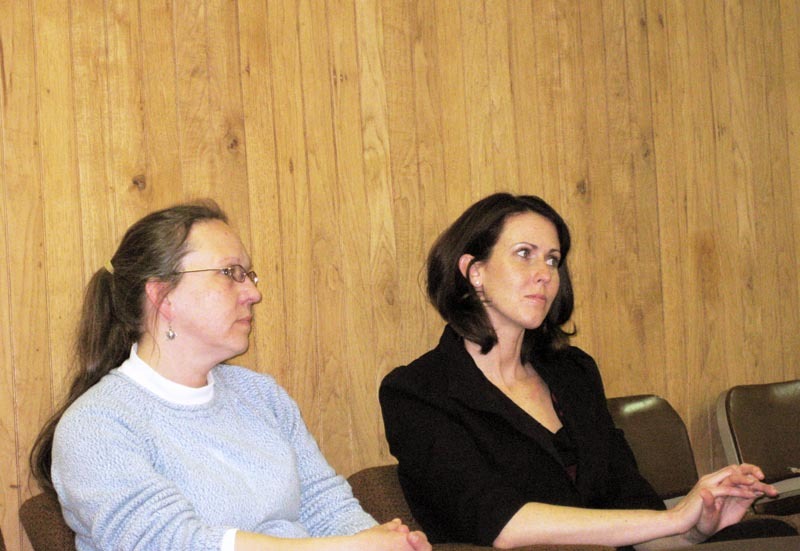 02/15/09: Elizabeth wrote... "Maria, I applaud you for what must be a very challenging effort to keep traditions alive. Having lived in Northern Canada I saw first-hand some of the hardships faced by our own native peoples. Good luck to you and the mission you've undertaken. 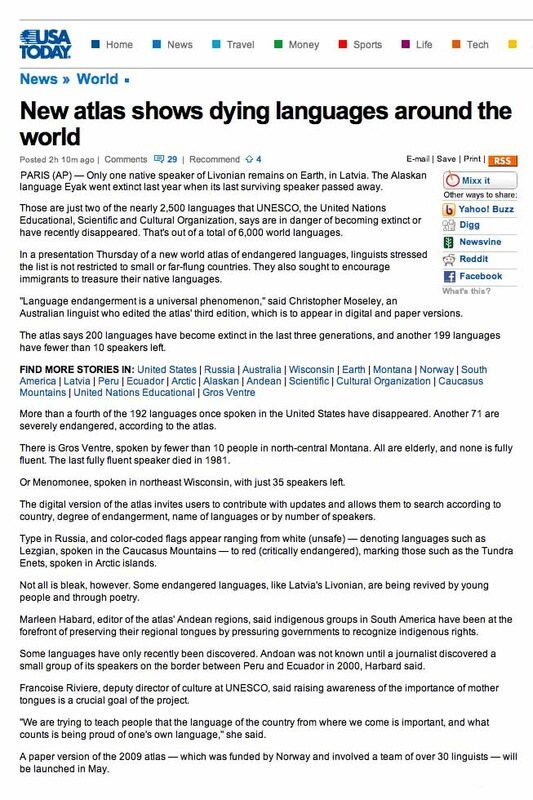 Keeping any language alive is a huge challenge in today's world." 02/17/09: Connie Baxter Marlow wrote... "Congratulations, Maria. You are living proof - "If you can dream it, you can do it!" Thank you for inspiring us all! And thank you for being a bridge between worlds so that non-native people can glimpse the beauty the native people carry in your way of life, language and cosmology. Katahdin is proud of you! Keep up the great work." 02/17/09: Ilze Petersons wrote... "Congratulations, Maria! 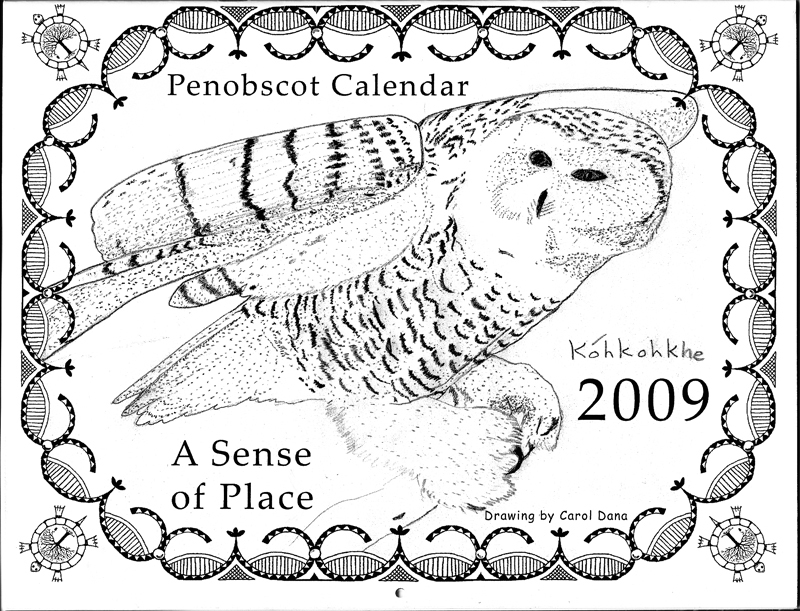 Your creativity and resourcefulness in helping to keep the Penobscot language alive is a great gift to all of us."